Oh yes! 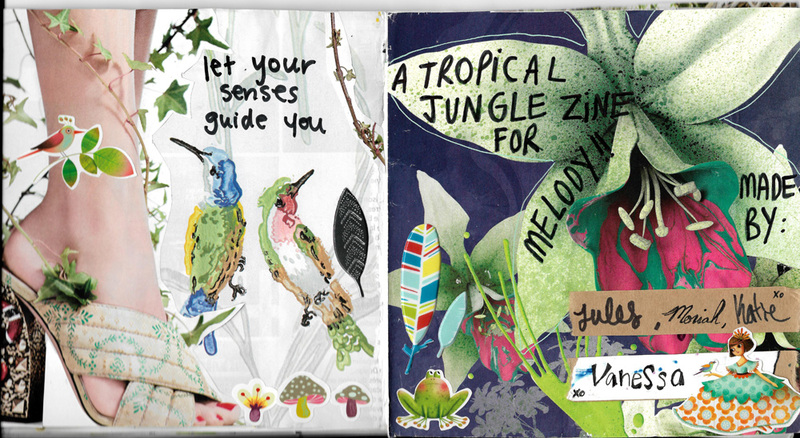 A Jungle themed zine was in the works for Melody. 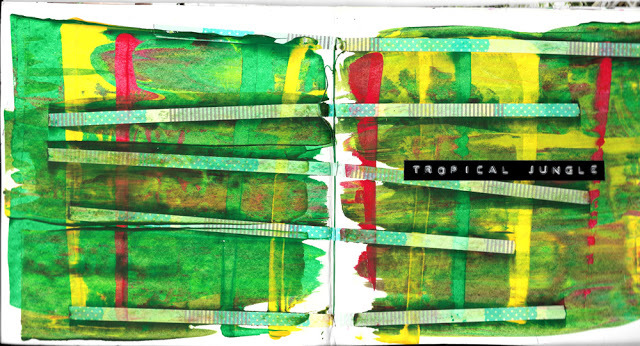 Julia, Katie and I wanted this zine to bring those feelings of humid jungles, of dark rich colours, of mystery and adventure. So we enlisted Moriah to participate with us. This time, I wasn’t the one to start the zine so it was fun to have some jumping off pages to work with. 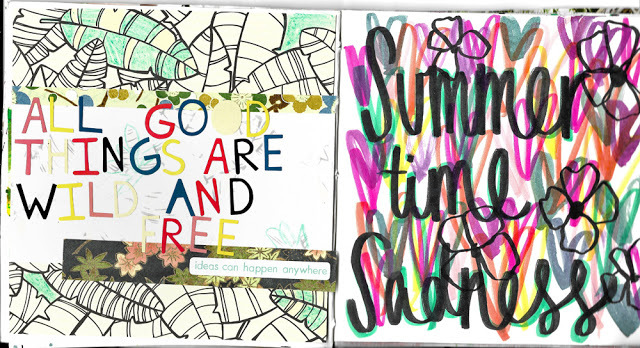 My page above is on the left and Julia’s is on the right. 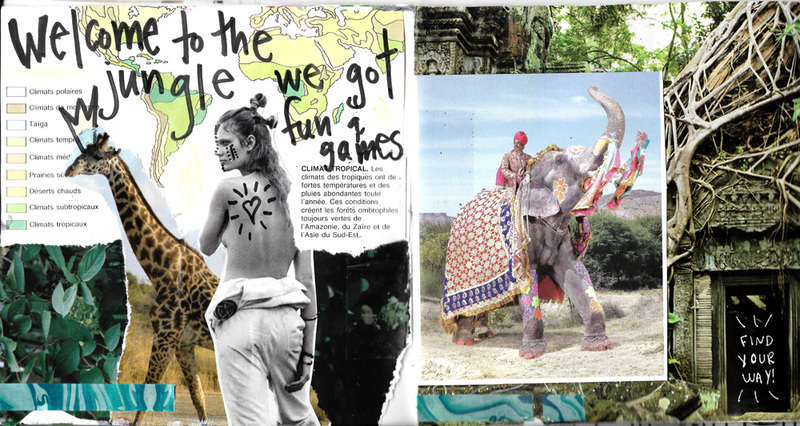 This zine was a chance for me to use some of the collage fodder I’ve had from various sources and travels. On the spread above, my page is on the left. I must confess I don’t know who made the page on the right! But how I love it because I have actually been in that temple in Cambodia, I have a photo of me under those very roots. that was a bucket list event for me. 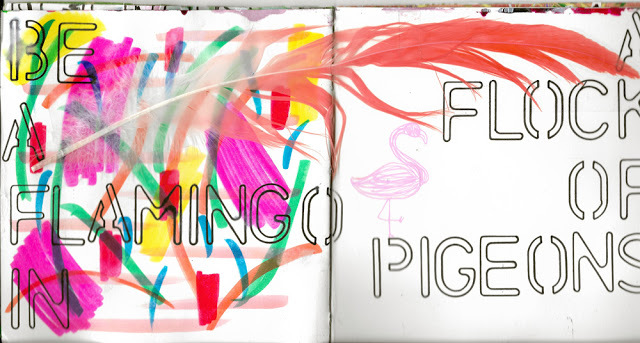 The flamingo feather below is from my trip to Johanesburgh in April 2016. 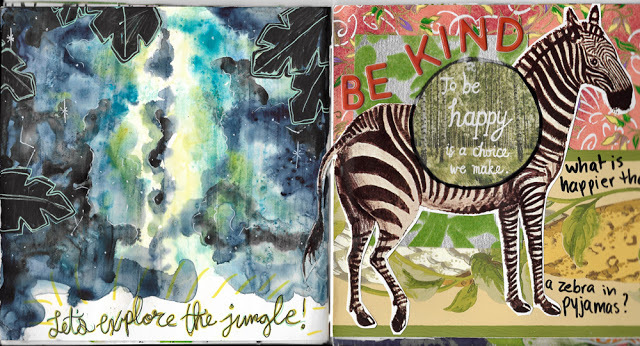 The page with the zebra is mine. Melody is such a kind soul, I wanted to add this in the zine. I also wanted a little bit of whimsy! 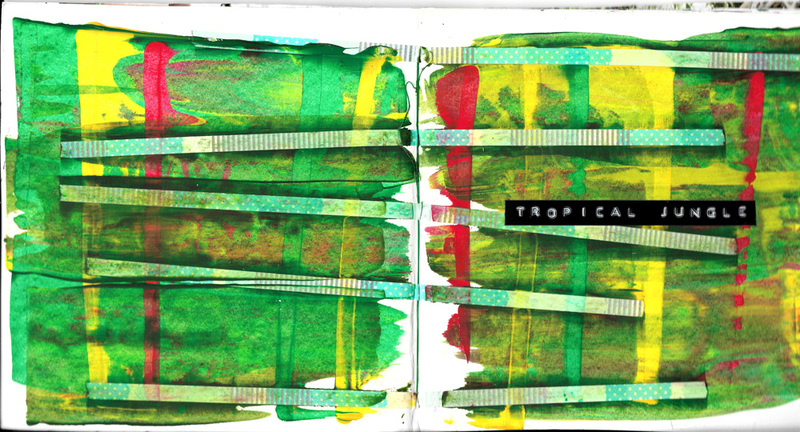 This was a lot of fun to make, I love how lush and full the zine turned out, with lots to see and feel. Please take a look at everyone’s pages by clicking on their names. The Cambodia page was mine- It would be an absolute dream to visit there! I want to touch the feather! !